The cosmos looms large and wondrous again and much of the credit goes to one charming affable, but steadfastly rigorous, when it comes to scientific principles, host – Neil deGrasse Tyson. Tyson, an astrophysicist is the Frederick P. Rose Director of the Hayden Planetarium at the American Museum of Natural History. Tyson got his undergraduate degree at Harvard and his PhD at Columbia University. Tyson’s accomplishments, awards, honors, publications, etc. number in the hundreds (his curriculum vitae is more than 5,000 words long) and include “Most influential Harvard Alumni,” “NASA Exceptional Service Medal,” “The Time 100 – one of the 100 most influential people in the world” plus serving on the National Academy of Sciences Committee on Evolution, Washington, DC. “Because science carries us toward an understanding of how the world is, rather than how we would wish it to be, its findings may not in all cases be immediately comprehensible or satisfying. It may take a little work to restructure our mindsets.” – Carl Sagan. “The good thing about science is that it’s true whether or not you believe in it.” – Neil deGrasse Tyson. And sadly it comes as no surprise to most that “A Space Odyssey” should come under attack from the same ilk (creationists, science-deniers, anti-evolutionists, etc.) as did “A Personal Voyage.” Tyson did not blink an eye but rather met creationists head-on in his second episode with an example of what the universe would look like if it were only 6,500 years old or so. Using the speed of light – a known measurement of approximately 186,000 miles per second, scientists estimate the distance of objects (stars, planets, etc) in the universe in “light years” – the distance light traveling at 186,000 miles per second travels in one year. 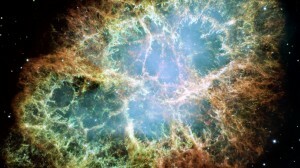 Cosmos and Tyson pointed out the Crab Nebula – remnants of a super nova 6,500 light years from Earth. 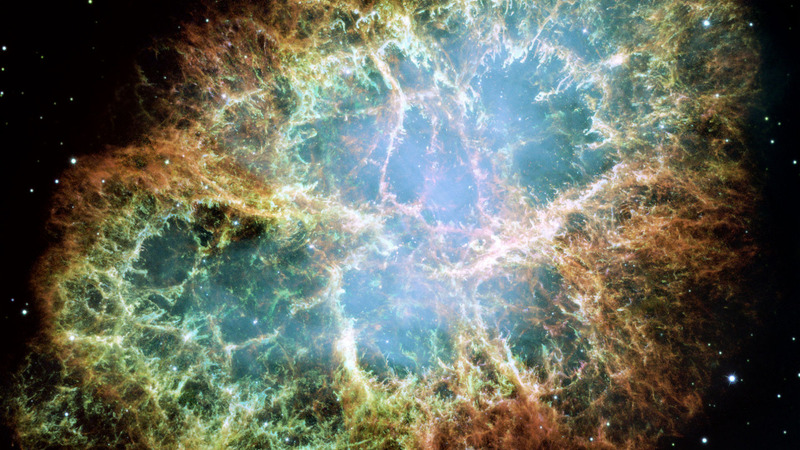 According to Tyson as narrator: “…But if the universe were only 6,500 years old, how could we see the light from anything more distant than the Crab Nebula? We couldn’t. There wouldn’t have been enough time for the light to get to Earth from anywhere farther away than 6,500 light-years in any direction. That’s just enough time for light to travel through a tiny portion of our Milky Way galaxy. In another episode Cosmos took on the climate change – deniers and while the episode was laden with good empirical documentation of climate change, one simple segment of video provided an intuitive glimpse into the difference between weather and climate. Tyson was walking on the beach with his dog – and while he continued in a constant direction the dog meandered back and forth. “Keep your eye on the man, not the dog,” admonishes Tyson, equating the constant path of the man (Tyson) with climate and the meanderings of the dog as the vagaries of day-to-day weather patterns. Tyson talked about the disconnect of science-deniers in a recent CNN interview: “Our civilization is built on the innovation of scientists and technologists and engineers who have shaped everything that we so take for granted today. So some of the science deniers or science haters, these are people who are telling that to you while they are on their mobile phone.